Fat. For so many diet conscious individuals, it's the ultimate dirty word! Yet, despite its bad reputation, the body needs the right fats; especially essential fatty acids to function properly. Fats from animal and vegetable sources provide a concentrated source of energy in the diet and they also provide the building blocks for cell membranes. One of the reasons that you’re always hungry on fat-free diets is that fats as part of a meal allow you to go longer without feeling hungry. IN addition, they act as carriers for important fat-soluble vitamins A, D, E and K. Dietary fats are also needed for the conversion of carotene to vitamin A, for mineral absorption and for a host of other processes. 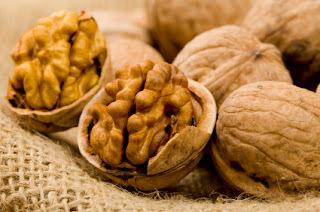 Essential fatty acids (EFAs) are polyunsaturated fats that are considered essential because your body can’t make them. What this means is that you must get then from the foods you eat. Striving to consume more omega-3s can bring you closer to the ratio our ancestors ate. One way to accomplish this is with a fish oil supplement. There are many delicious foods that offer omega-3. The list below is a nice mix of plant and animal fats. Flaxseed oil and flaxseeds, walnuts, soybeans, winter squash, Brussels sprouts, scallops, salmon, rainbow trout, crab (Dungeness), and tuna.